As a big THANK YOU for joining me on this Confidence Warrior journey I wanted to start you off with a few confidence affirmations. Feel free to print them out, save them as a desktop wallpaper, make them your screen saver, use them to wipe your bum with, whatever you want! Download image one here, image two here and image three here. For these affirmations to work well but them somewhere you go often or where you may lack confidence, maybe next to your mirror. 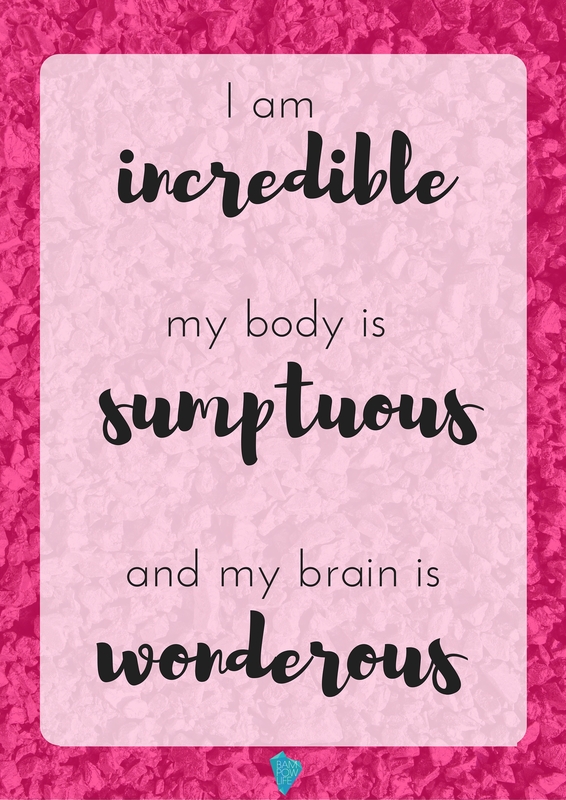 Affirmations that you constantly see, work to change your neural pathways so you start to believe what's on them. Magic!